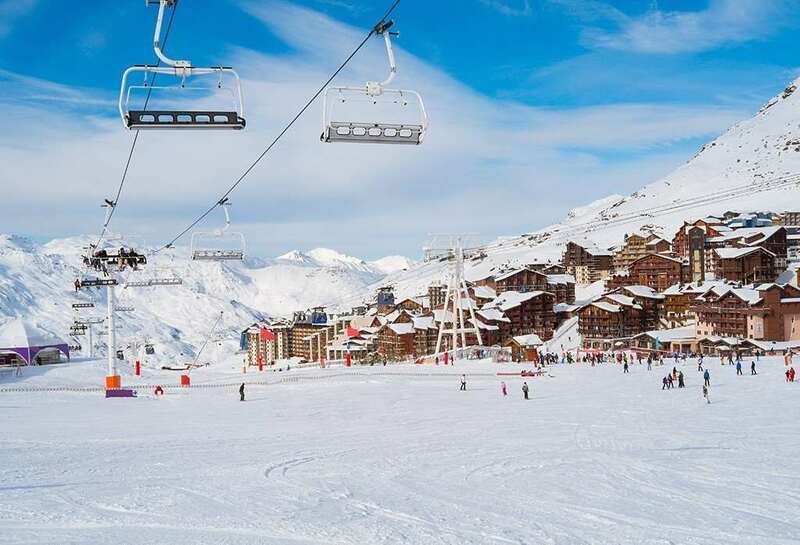 This is one of the premier Residences in Val Thorens with its piste side location and leisure facilities. The apartments are spacious, comfortable and all tastefully decorated and all have superb views. The resort centre is accessed by a lift and a covered walkway. 2-room Apartment (A3) 32m² - sleeps 2-3 Living room with single sofa bed, twin bedroom. 2-room & cabin Apartment (B4) 35m² - sleeps 2-4 As 2-room Apartment plus a cabin room with convertible twin beds or two single beds. 3-room Apartment (C4) 45m² - sleeps 2-4 Living/dining room plus 2 twin bedrooms. 3-room & cabin Apartment (D6) 47m² - sleeps 3-6 As 3-room Apartment plus a cabin room with bunk beds and shower room. Included Beds made upon arrival, towels, end of stay cleaning (except kitchen) and local taxes. Local Expenses Refundable deposit €500 (credit card). Garage parking €70 per week.